Waiting on Wednesday is a weekly meme hosted by Jill at Breaking The Spine. It features each bloggers most anticipated books. 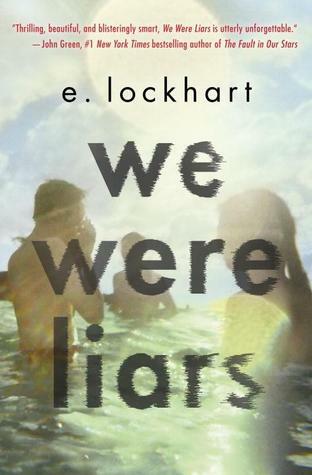 This week my pick is WE WERE LIARS by E. Lockhart. Why I Can't Wait: Seriously? It's E. Lockhart. I adore her Ruby Oliver series and will most definitely read anything she writes. I love the concept of a pack of friends that turns destructive. Lies upon lies? True love? You had me at "A". I'm not sure if this one is for me but it certainly sounds different which is always a good thing. This one looks awesome also!